Can I tell you how much I love this bag?! 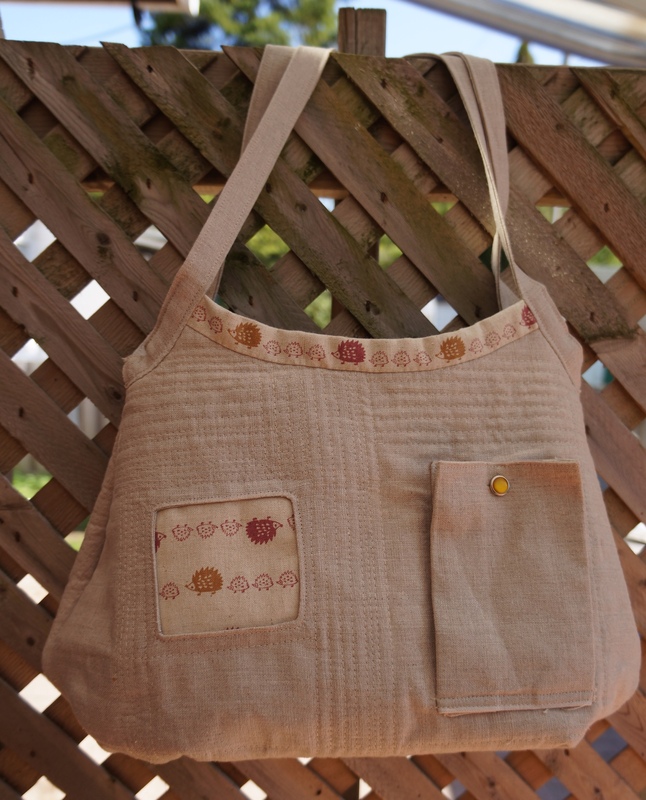 I used Keyka Lou’s Sweetheart shopper and added my own Zakka style. I love this pattern because there’s so much you can add to it to make it your own, the little window with the hedgehogs, the expandable outside pocket with snap and the marching hedgehogs on the trim and last but not least, the dense quilting on front and back. FIVE days till I’m in Bremen, FIVE DAYS!!! 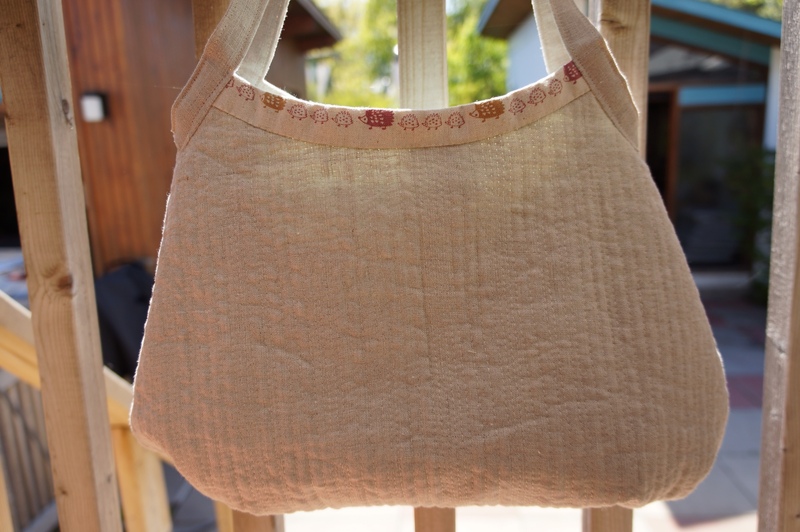 This entry was posted in Japanese Linen, Key, Keyka Lou, Zakka by Tabatha. Bookmark the permalink. Thanks so very much for your kind words Liz, that is so sweet of you! I’ve really been enjoying myself with these bags and look forward to making many more! LOVE this bag! Perfect use of the hedgehog fabric and awesome quilting! 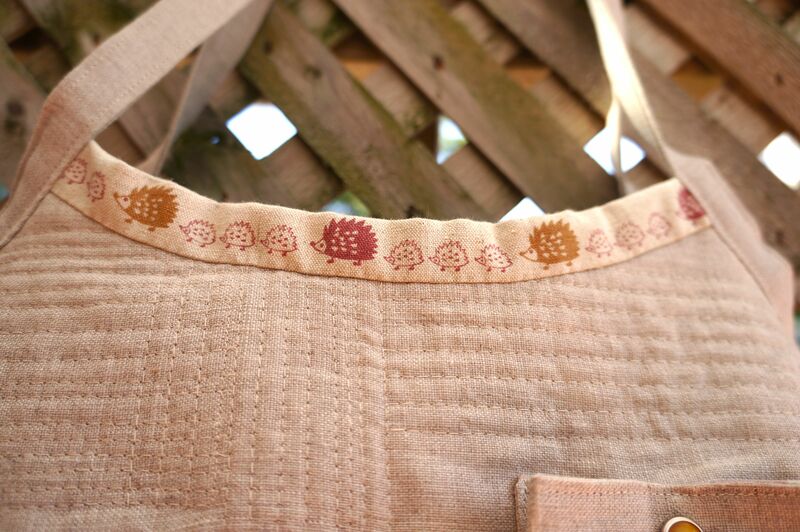 Thanks Susan, I really enjoyed making this bag and the hedgehogs made it that much more fun! That looks beautiful. The addition of your own style and the quilting really makes it special. Thanks Amanda, it was a joy to work on! It is a beautiful looking bag! The hedgehogs are just so adorable! It turned out really cute! Have fun in Bremen, I’m jealous!